PRIDE OF OWNERSHIP IS PRESENT IN THIS STUNNING HOME, IN THE HEART OF UPCOMING ARGENTINE. NEW FRONT PORCH IS AWAITING YOUR ENJOYMENT. Newer A/C & Furnace, Plumbing, Exterior Water Line, Gutters, Freshly painted kitchen cabinets. Tiled flooring throughout the dining room & kitchen. Updated tiled bathroom on main-level. All vinyl windows to preserve energy. Exterior covered deck is great for family gatherings. Big 2-car garage great for a workshop or storage. Basement is ready to be finished. Kansas City is located in Kansas. Kansas City, Kansas 66106 has a population of 151,306. The median household income in Kansas City, Kansas 66106 is $38,073. The median household income for the surrounding county is $39,326 compared to the national median of $53,482. The median age of people living in Kansas City 66106 is 33 years. 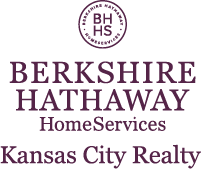 I am interested in 1432 S 33rd Street, Kansas City, KS 66106.